For the Major League Baseball players who have completed this feat, see List of Major League Baseball no-hitters. In baseball, a no-hitter (also known as a no-hit game and colloquially as a no-no) is a game in which a team was not able to record a single hit. Major League Baseball (MLB) officially defines a no-hitter as a completed game in which a team that batted in at least nine innings recorded no hits. A pitcher who prevents the opposing team from achieving a hit is said to have "thrown a no-hitter". This is a rare accomplishment for a pitcher or pitching staff: only 295 have been thrown in Major League Baseball history since 1876, an average of about two per year. In most cases in MLB, no-hitters are recorded by a single pitcher who throws a complete game; one thrown by two or more pitchers is a combined no-hitter. The most recent no-hitter by a single pitcher was thrown on April 21, 2016 by Jake Arrieta of the Chicago Cubs against the Cincinnati Reds at Cincinnati's Great American Ball Park. The most recent combined no-hitter was thrown by Cole Hamels, Jake Diekman, Ken Giles, and Jonathan Papelbon of the Philadelphia Phillies against the Atlanta Braves on September 1, 2014. It is possible to reach base without a hit, most commonly by a walk, error, or being hit by a pitch. (Other possibilities include the batter reaching first after a dropped third strike.) A no-hitter in which no batters reach base at all is a perfect game, a much rarer feat. Because batters can reach base by means other than a hit, a pitcher can throw a no-hitter (though not a perfect game) and still give up runs, and even lose the game, although this is extremely uncommon and most no-hitters are also shutouts. One or more runs were given up in 25 recorded no-hitters in MLB history, most recently by Ervin Santana of the Los Angeles Angels of Anaheim in a 3–1 win against the Cleveland Indians on July 27, 2011. On two occasions, a team has thrown a nine-inning no-hitter and still lost the game. On a further four occasions, a team has thrown a no-hitter for eight innings in a losing effort, but those four games are not officially recognized as no-hitters by Major League Baseball because the outing lasted fewer than nine innings. It is theoretically possible for opposing pitchers to throw no-hitters in the same game, although this has never happened in the majors. Two pitchers, Fred Toney and Hippo Vaughn, completed nine innings of a game on May 2, 1917 without either giving up a hit or a run; Vaughn gave up two hits and a run in the 10th inning, losing the game to Toney, who completed the extra-inning no-hitter. A no-hitter is defined by Major League Baseball as follows: "An official no-hit game occurs when a pitcher (or pitchers) allows no hits during the entire course of a game, which consists of at least nine innings." This definition was specified by MLB's Committee for Statistical Accuracy in 1991, causing previously recognized no-hitters of fewer than nine innings or where the first hit had been allowed in extra innings to be stricken from the official record books. Games lost by the visiting team in 8½ innings but without allowing any hits do not qualify as no-hitters, as the visiting team has only pitched eight innings. Major League Baseball has officially recognized 295 no-hitters thrown since 1876; only 23 of those were perfect games. Two no-hitters have been thrown on the same day twice: Ted Breitenstein and Jim Hughes on April 22, 1898; and Dave Stewart and Fernando Valenzuela on June 29, 1990. Eight no-hitters were thrown by major league pitchers in the 1884 season. In the modern era (since 1901), seven no-hitters were thrown in 1990, 1991, 2012, and 2015. The longest period between any two no-hitters in the modern era is 7007984744000000000♠3 years, 44 days between Bobby Burke on August 8, 1931, and Paul "Daffy" Dean on September 21, 1934. There was a drought of 3 years, 11 months, without a no-hitter after the first National League no-hitter on July 15, 1876, pitched by George Bradley. The most recent year without any no-hitters is 2005. The greatest span of games without a no-hitter anywhere in the Major Leagues is 6,364, between Randy Johnson's perfect game on May 18, 2004, for the Arizona Diamondbacks, and Aníbal Sánchez's no-hitter on September 6, 2006, for the Florida Marlins. The previous record was a 4,015-game streak without a no-hitter from September 30, 1984, to September 19, 1986. The pitcher who holds the record for the most no-hitters is Nolan Ryan, who threw seven in his long career. His first two came exactly two months apart, while he was with the California Angels: the first on May 15, 1973, and the second on July 15. He had two more with the Angels on September 28, 1974, and June 1, 1975. Ryan's fifth no-hitter with the Houston Astros on September 26, 1981, broke Sandy Koufax's previous record. His sixth and seventh no-hitters came with the Texas Rangers on June 1, 1990, and May 1, 1991. When he tossed number seven at age 44, he became the oldest pitcher to throw a no-hitter. Only Ryan, Sandy Koufax (four), Cy Young (three), Bob Feller (three), and Larry Corcoran (three) have pitched more than two no-hitters. Corcoran was the first pitcher to throw a second no-hitter in a career (in 1882), as well as the first to throw a third (in 1884). Thirty-six pitchers have thrown more than one no-hitter, combined no-hitters not counting. Randy Johnson has the longest gap between no-hitters: he threw a no-hitter as a member of the Seattle Mariners on June 2, 1990, and a perfect game as an Arizona Diamondback on May 18, 2004. The pitcher who holds the record for the shortest time between no-hitters is Johnny Vander Meer, the only pitcher in history to throw no-hitters in consecutive starts, while playing for the Cincinnati Reds in 1938. Besides Vander Meer, Allie Reynolds (in 1951), Virgil Trucks (in 1952), Ryan (in 1973), and Max Scherzer (in 2015) are the only other major leaguers to throw two no-hitters in the same regular season. Jim Maloney also had two no-hitters under the previous rules in the 1965 season, both of them taken into extra innings. On the first one on June 14, he gave up a home run to Johnny Lewis to open the top of the 11th inning, turning 10 innings of no-hit ball into a 1–0 loss to the New York Mets. According to the rules interpretation of the time, this was considered a no-hitter. On August 19, a home run by Leo Cárdenas in the tenth inning allowed Maloney to earn a 1–0 10-inning no-hit win over the Chicago Cubs. Roy Halladay threw two no-hitters in 2010 – a perfect game during the regular season and a no-hitter in the 2010 National League Division Series. He is the only major leaguer to have thrown no-hitters in regular season and postseason play. Two pitchers missing their non-pitching hand have thrown no-hitters; Hugh Daily, of the Cleveland Blues, defeated the Philadelphia Quakers 1–0 on September 13, 1883, and Jim Abbott, of the New York Yankees, defeated the Cleveland Indians 4–0 on September 4, 1993. Daily lost his left hand in a gun accident as a child, and Abbott was born without a right hand. Jake Arrieta of the Chicago Cubs is the most recent pitcher to throw his second no-hitter, the thirty-fourth player to do so, on April 21, 2016. The record for most no-hitters caught by a catcher is four, a record shared by Boston Red Sox catcher Jason Varitek and Philadelphia Phillies catcher Carlos Ruiz. Varitek caught no-hitters for Hideo Nomo, Derek Lowe, Clay Buchholz, and Jon Lester. Varitek also caught a rain-shortened, five-inning unofficial no-hitter for Devern Hansack on October 1, 2006. Ruiz caught two no-hitters for Roy Halladay, including a perfect game, as well as one for Cole Hamels, and a combined no-hitter for Cole Hamels, Jake Diekman, Ken Giles, and Jonathan Papelbon. Before MLB redefined "no-hitter", Ray Schalk had long held the record of catching four no-hitters, but his first nine-inning no-hitter had ended with a hit in the tenth inning. Five pitchers have thrown a no-hitter in both the American League and the National League: Cy Young, Ryan, Jim Bunning, Nomo, and Randy Johnson. Only five catchers have caught a no-hitter in each league: Gus Triandos, Jeff Torborg, Darrell Porter, Ron Hassey, and most recently, Drew Butera. Triandos caught Hoyt Wilhelm's 1958 no-hitter and Jim Bunning's perfect game, Torborg caught Koufax's perfect game and Ryan's first no-hitter, Porter caught Jim Colborn's 1977 no-hitter and Bob Forsch's second no-hitter in 1983, and Hassey caught Len Barker's and Dennis Martínez's perfect games. Butera caught a 2011 no-hitter by Francisco Liriano and a 2014 no-hitter by Josh Beckett. No team has thrown no-hitters in consecutive games, although it has happened once on consecutive days: On May 5, 1917, Ernie Koob of the St. Louis Browns no-hit the Chicago White Sox, and teammate Bob Groom repeated the feat in the second game of a doubleheader the following day. On two occasions, there have been back-to-back no-hitters thrown by each team in a series. On September 17, 1968, Gaylord Perry of the San Francisco Giants no-hit the St. Louis Cardinals, and the Cardinals' Ray Washburn no-hit the Giants the following day. On April 30, 1969, Jim Maloney of the Cincinnati Reds no-hit the Houston Astros, and the Astros' Don Wilson no-hit the Reds the following day. Surprisingly, it was both Maloney's and Wilson's 2nd no-hitter in their careers. Teams have thrown two straight no-hitters, with no other teams pitching one in the interim, 19 times; most recently by the Los Angeles Dodgers (Josh Beckett and Clayton Kershaw in 2014). The only team to throw three straight no-hitters was the Milwaukee Braves, with Lew Burdette, followed by consecutive no-no's by Warren Spahn, in 1960 and 1961. Individual pitchers have thrown two straight no-hitters seven times: Addie Joss 1908 and 1910; Vander Meer in 1938; Allie Reynolds in 1951; Warren Spahn in 1960 and 1961; Ryan twice, first in 1973, then in 1974 and 1975; and Bailey. All seven instances were with the same team. The Tampa Bay Rays are the only MLB team to fail to get a hit in three games in a span of 12 months or fewer. No-hit by Arizona's Edwin Jackson on June 25, 2010, the Rays were also the victims of two perfect games: the first by White Sox pitcher Mark Buehrle on July 23, 2009, the second by Oakland's Dallas Braden on May 9, 2010. On August 15, 2012, the Rays were once again on the losing end of a perfect game, this time at the helm of Félix Hernández and the Seattle Mariners. The vast majority of no-hit games are finished by the starting pitcher, but eleven MLB no-hitters have been thrown by a combination of the starting and relief pitchers. The first such combined no-hitter occurred on June 23, 1917, when Ernie Shore of the Boston Red Sox relieved starter Babe Ruth, who had been ejected for arguing with the umpire after walking the first batter of the game. The runner was subsequently caught stealing and Shore retired the next 26 batters without allowing any baserunners. This game was long considered a perfect game for Shore, since he recorded 27 outs in succession; current rules classify it only as a combined no-hitter. Another major league combined no-hitter did not occur until April 30, 1967, when Stu Miller of the Baltimore Orioles recorded the final out in relief of Steve Barber in a 2–1 loss to the Detroit Tigers. The most recent combined no-hitter occurred on September 1, 2014, when the Philadelphia Phillies beat the Atlanta Braves 7-0, as Cole Hamels threw 108 pitches through the first six innings; then Jake Diekman, Ken Giles, and Jonathan Papelbon successively pitched perfect innings to preserve the no-hitter. The only combined extra inning no-hitter to date occurred on July 12, 1997. Pittsburgh Pirates pitchers Francisco Córdova (9 innings) and Ricardo Rincón (1 inning) combined to no-hit the Houston Astros, 3–0. Victory was secured with a three-run walk-off home run by pinch hitter Mark Smith in the bottom of the tenth inning. On June 11, 2003, the Houston Astros set a record with six pitchers involved in a combined no-hitter. On that day, Roy Oswalt, Pete Munro, Kirk Saarloos, Brad Lidge, Octavio Dotel, and Billy Wagner combined to hold the New York Yankees hitless. Oswalt was removed after one inning due to injury. Munro pitched the most innings, 2⅔. He also allowed five of the six baserunners, giving up three walks, hitting a batter and seeing another reach on an error by third baseman Geoff Blum. The only other baserunner was allowed by Dotel, who threw a third-strike wild pitch to Alfonso Soriano with one out in the eighth; Dotel went on to record the forty-fifth four-strikeout inning in regular-season play. Lidge, who retired all six hitters he faced over the sixth and seventh innings, earned the victory. On June 8, 2012, the Seattle Mariners tied this record when Kevin Millwood, Charlie Furbush, Stephen Pryor, Lucas Luetge, Brandon League, and Tom Wilhelmsen combined to no-hit the Los Angeles Dodgers. Millwood pitched 6 innings before he was taken out due to a groin injury. Only one pitcher has thrown a no-hitter as a starter and contributed to a combined no-hitter as a reliever. On September 30, 1984, Mike Witt threw a 1–0 perfect game for the California Angels against the Texas Rangers. On April 11, 1990, pitching the eighth and ninth innings in relief of Mark Langston, Witt earned a save in another 1–0 no-hit victory for the Angels over the Seattle Mariners. Vida Blue, Kent Mercker, Kevin Millwood, and Cole Hamels are the only pitchers to start both a complete game no-hitter and a combined no-hitter. Vida Blue no-hit the Minnesota Twins on September 21, 1970, while pitching for the Oakland Athletics. He combined with Glenn Abbott, Paul Lindblad, and Rollie Fingers to no-hit the California Angels on September 28, 1975. While with the Atlanta Braves in 1991, Mercker, Mark Wohlers and Alejandro Peña no-hit the San Diego Padres in the National League's first combined no-hitter. Mercker threw a complete game no-hitter against the Los Angeles Dodgers on April 8, 1994. In addition to the game above in which Millwood and the Seattle Mariners tied the record by using six pitchers in a no-hitter, Millwood previously threw a complete game no-hitter against the San Francisco Giants on April 27, 2003, while with the Philadelphia Phillies. Both Mercker and Blue were All-Stars in the seasons of their combined no-hitters, and Blue also won the Cy Young Award and the Most Valuable Player Award during his career. Combined no-hitters are considered unofficial by Nippon Professional Baseball. Hideo Nomo threw the earliest no-hitter based on calendar date: April 4, 2001, the second game of the season for the Boston Red Sox, against the Baltimore Orioles. The Cleveland Indians' Bob Feller left the Chicago White Sox hitless in the 1940 season opener on April 16, the only official Opening Day no-hitter. There have been five no-hitters thrown on the final day of the regular season. Bumpus Jones of the Cincinnati Reds ended the season by no-hitting the Pittsburgh Pirates on October 15, 1892; this is also the latest calendar date for a no-hit game thus far. On September 28, 1975, four Oakland A's pitchers (Vida Blue, Glenn Abbott, Paul Lindblad, Rollie Fingers) combined for a season-ending no-hitter against the California Angels. Mike Witt of the California Angels threw a perfect game against the Texas Rangers on September 30, 1984. Henderson Álvarez of the Miami Marlins no-hit the Detroit Tigers on September 29, 2013, to close the regular season. Jordan Zimmermann of the Washington Nationals no-hit the Miami Marlins on the last day of the 2014 season, September 28. The latest regular-season no-hitter by calendar date in the modern era is October 3, achieved by Max Scherzer of the Washington Nationals in 2015. The Houston Astros' Mike Scott no-hit the San Francisco Giants on September 25, 1986, a victory that also clinched the National League West title for the Astros; this is the only such occurrence in Major League history to date. In the first game of a doubleheader on September 28, 1951, Allie Reynolds of the New York Yankees pitched a no-hitter against the Boston Red Sox which clinched a tie for the American League pennant (the pennant was clinched outright in the doubleheader's second game). There have been two postseason no-hitters in MLB history, one by a pitcher from each league. For the AL, on October 8, 1956, Don Larsen of the New York Yankees threw a perfect game in Game 5 of that year's World Series against the Brooklyn Dodgers. The feat had nearly been accomplished nine years earlier by the Yankees' Bill Bevens, who came within one out of a no-hitter (though not a perfect game) against the Brooklyn Dodgers in Game 4 of the 1947 World Series, only to lose the game on a pinch-hit double by Cookie Lavagetto. There have been other one-hitters in the World Series, with the lone hit coming earlier in the game than in Bevens' effort. On October 6, 2010, Roy Halladay of the Philadelphia Phillies, in the first postseason appearance of his career, threw the second no-hitter in postseason history, and first in the NL, in Game 1 of the Phillies' NLDS against the Cincinnati Reds. Bumpus Jones of the Cincinnati Reds threw a no-hitter on October 15, 1892 in his first major league game. Jones pitched only eight games in the big leagues, finishing with a career win/loss record of 2–4 and a career earned run average of 7.99. On May 6, 1953, Bobo Holloman pitched a no-hitter for the St. Louis Browns in his first major league start (also not his first major league game). This game would prove to be one of only three major league wins that Holloman achieved, against seven losses, all in 1953. Bill Veeck, then-owner of the Browns, in his autobiography described the 27 outs of Holloman's no-hitter as consisting of hard-hit ground balls, screaming line drives, and deep fly balls. At the other end of the spectrum, there are nine 300-game winners—Grover Cleveland Alexander, Kid Nichols, Lefty Grove, Early Wynn, Steve Carlton, Don Sutton, Greg Maddux, Roger Clemens and Tom Glavine—who failed to pitch a no-hitter. On August 11, 1991, Wilson Álvarez of the Chicago White Sox pitched a no-hitter in his second career major league start. During Alvarez's first career start, he had allowed three runs on a pair of home runs and did not retire a single batter. Unlike Jones and Holloman, Alvarez went on to win 102 games over a 16-year career. Clay Buchholz pitched a no-hitter for the Boston Red Sox in his second major league start on September 1, 2007 at Fenway Park. The game ended in a 10–0 victory for the Red Sox over the Baltimore Orioles. Chris Heston, pitcher for the San Francisco Giants, threw a no-hitter in a 5-0 victory over the New York Mets on June 9, 2015. Unlike a perfect game, in which no batters reach base, in regular no-hitters batters can reach base in other ways, such as a walk, an error, or a hit batsman, thus it is possible for the team pitching the no-hitter to lose. On April 23, 1964, Ken Johnson of the Houston Colt .45s became the only pitcher to lose a complete game no-hitter in nine innings when he was beaten, 1–0, by Cincinnati. The winning run was scored by Pete Rose in the top of the ninth inning via an error, groundout, and another error. On April 30, 1967, Steve Barber and Stu Miller of the Baltimore Orioles pitched a combined no-hitter, but lost 2-1 to the Detroit Tigers. On July 1, 1990, Andy Hawkins of the Yankees pitched an eight-inning no-hitter (the Yankees were the away team) against the Chicago White Sox and lost the game 4–0 after an eighth inning which saw three errors. The four runs that the White Sox scored are the most by any team in a game in which they had no hits. Because Hawkins only threw eight innings, this game is not recognized as an official no-hitter by Major League Baseball; however, it was considered a no-hitter at the time it was pitched. Years after the game, the rules regarding no-hitters, (and rules regarding other statistics), were changed and applied retroactively in order to "clean up the record book". The Hawkins "no-hitter" failed on at least two provisions of the new standards. To be classified a valid no-hitter, the pitcher must face opposing batters in at least nine innings. Jered Weaver and José Arredondo of the Angels also combined for eight innings of no-hit baseball in a 1–0 road loss to the Dodgers June 28, 2008, where Matt Kemp reached on an error, stole second, advanced to third on another error, and scored on a sacrifice fly. However, since the Angels only pitched eight innings, this game is not recognized as an official no-hitter. If the home team leads after the top of the ninth, they do not bat in the bottom of the ninth, thus the visiting team only pitches 8 innings. Since it is possible to score runs without getting hits, a visiting team can complete a full game without allowing a hit but not be credited with an official no-hitter. This has happened four times in MLB history: Silver King (1890), Andy Hawkins (1990), and Matt Young (1992) pitched complete games without allowing a hit, but pitched only 8 innings as the losing pitcher from the visiting team, and thus are not credited with a no-hitter. On June 28, 2008, Jered Weaver and José Arredondo of the Los Angeles Angels of Anaheim threw 8 no-hit innings against the Los Angeles Dodgers at Dodger Stadium, but lost the game, 1–0, and are not credited with a no-hitter. This is the first near no-hitter of this kind in which more than one pitcher was involved. On May 2, 1917, a game between the Chicago Cubs and the Cincinnati Reds reached the end of nine innings in a hitless scoreless tie, the only time in baseball history that neither team has had a hit in regulation. Both Hippo Vaughn of the Cubs and Fred Toney of the Reds continued pitching into the tenth inning. Vaughn lost his no-hitter in the top of the tenth, as the Reds got two hits and scored the winning run. Toney retired the side in the bottom of the tenth and recorded a ten-inning no-hitter. This game was long considered a "double no-hitter", but Vaughn is no longer credited with a no-hitter under the current rules. Of the thirteen potential no-hitters that have been lost in extra innings, two were perfect games until the inning when the first hit was surrendered. On May 26, 1959, Harvey Haddix of the Pittsburgh Pirates pitched a remarkable twelve perfect innings against the Milwaukee Braves before losing the perfect game on an error and then the no-hitter and the game in the thirteenth inning. On June 3, 1995, Pedro Martínez of the Montreal Expos pitched nine perfect innings against the San Diego Padres before giving up a hit in the tenth and exiting the game, which the Expos then won, 1–0. Only one existing franchise in Major League Baseball has not had a pitcher toss a no-hitter: the San Diego Padres, who have gone 46 years without a no-hitter since they entered Major League Baseball in 1969. Their closest bid came against the Philadelphia Phillies on July 18, 1972; Steve Arlin came within one out of a no-hitter before Denny Doyle broke up the bid with a single. On July 9, 2011, five Padres pitchers combined for 8 2⁄3 innings of no-hit pitching against the Los Angeles Dodgers before Juan Uribe hit a double, which was followed by a Dioner Navarro single that won the game, which had been scoreless up to that point. The New York Mets, who began play in 1962, went without a no-hitter until Johan Santana pitched one on the night of June 1, 2012, against the St. Louis Cardinals at home at Citi Field. The 8–0 victory closed out their era as the oldest franchise without a no-hitter and ended a drought that lasted 8,019 regular-season and 74 post-season games. Mets pitchers have thrown 39 one-hitters. The longest no-hitter drought in Major League history was suffered by the Philadelphia Phillies between May 1, 1906, and June 21, 1964, a span that encompassed 8,945 games. The Washington Nationals achieved their first no-hitter on September 28, 2014. The franchise has four previous no-hitters in its history as the Montreal Expos, including a perfect game by Dennis Martínez. Six current NL teams—the Braves, Dodgers, Giants, Phillies, Cubs and Reds—all pitched their first no-hitters before the advent of the American League in 1901. Among the early National League teams still playing, the last to get their first no-hitter was the St. Louis Cardinals, when Jesse Haines pitched one on July 17, 1924. Of the original American League teams, the last team to get their first no-hitter was the New York Yankees, when George Mogridge pitched one on April 24, 1917. There are a number of short-lived Major League franchises from the nineteenth century that folded without ever recording a no-hitter. All modern-era MLB teams have experienced at least two no-hitters pitched against them. The record for the longest period of time without being no-hit is held by the Chicago Cubs, who succeeded in getting at least one hit in every game since Sandy Koufax's perfect game against them on September 9, 1965, until they were no-hit by Cole Hamels of the Philadelphia Phillies on July 25, 2015, a period of 7009157379760000000♠49 years, 318 days (7951 games – including 31 Post Season games). The second-longest streak without having an official no-hitter pitched against them is held by the New York Yankees, who had a gap of 7009141125760000000♠44 years, 263 days between nine-inning no-hitters from September 21, 1958 to June 10, 2003. However, during this time, the Yankees team hitting streak ended in a rain-shortened official game on July 12, 1990, after 7009100368720000000♠31 years, 294 days. The St. Louis Cardinals have the second-longest team hitting streak in MLB history: May 12, 1919 to May 14, 1960, a period of 7009129412080000000♠41 years, 3 days. The longest current streak is held by the Oakland Athletics at 7008765590400000000♠24 years, 95 days (3941 games: Including 44 Post Season games) as of October 16, 2015. They were last held hitless on July 13, 1991, when four Baltimore Orioles pitchers combined to shut down the A's offense. Forbes Field, home of the Pittsburgh Pirates from the middle of the 1909 season until the middle of the 1970 season, is the only long-term major league ballpark where a no-hitter was never thrown during its existence. There are several recently built fields where no-hitters have not yet been thrown. Five parks presently in existence for a decade or more have only seen one no-hitter each: the Orioles' current home, Oriole Park at Camden Yards, known for being hitter friendly (Hideo Nomo on April 4, 2001); Coors Field, the hitter-friendly home of the Colorado Rockies (Nomo on September 17, 1996); Petco Park, home of the San Diego Padres, which initially was known as a pitcher's park but was modified with shorter fences in 2013 (Tim Lincecum on July 13, 2013); PNC Park, the current home of the Pirates, which like Forbes Field is known for being hitter-friendly (Homer Bailey on September 28, 2012); and Minute Maid Park, the home of the Houston Astros which is known for the short Crawford Boxes in left and for its deep outfield in centre (Mike Fiers on August 21, 2015). In the 2006 World Baseball Classic, Shairon Martis pitched a no-hitter for the Netherlands against Panama, however it was only seven innings due to the mercy rule. One of the most common baseball superstitions is that it is bad luck to mention a no-hitter in progress, especially to the pitcher and in particular by their teammates (who sometimes even go so far as to not even be near the pitcher). Some sportscasters observe this taboo while others have no reservations about mentioning no-hitters before completion. 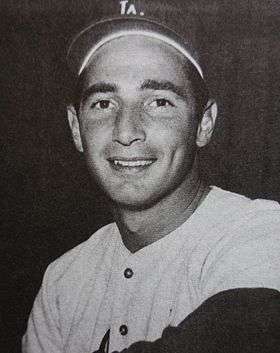 When Sandy Koufax pitched his no-hitter against the Mets in 1962, one of their 120 losses that season, Mets' coach Solly Hemus, apparently trying to jinx Koufax, kept heckling him through the game about pitching a no-hitter, according to a post-game interview Koufax gave after pitching his third no-hitter in 1964. An early biography of Koufax quoted him as telling his catcher, during that 1964 no-hitter, "Let's just go to the fastball and get this no-hit thing over with." Mickey Mantle, in an interview for Ken Burns' 1994 Baseball documentary series, related that Don Larsen, famed for his 1956 World Series perfect game, tried to talk about his no-hitter throughout the contest but much to his chagrin his Yankee teammates avoided his conversation and maintained the superstition. When Los Angeles Angels rookie Bo Belinsky entered the final inning of his no-hitter in 1962, Baltimore Orioles outfielder Jackie Brandt passed him on the field as the teams changed sides. According to Belinsky biographer Maury Allen, Brandt told Belinsky, "Nice game, Bo, but it's over. I'm leading off with a bunt single." Belinsky got Brandt out to start the final inning of his no-hitter. In 2009, when Mark Buehrle was pitching his perfect game, as he exited the field after the eighth inning, White Sox broadcaster Ken Harrelson exclaimed, "Call your sons! Call your daughters! Call your friends! Call your neighbors! Mark Buehrle has a perfect game going into the ninth!" Buehrle retired the side in the ninth to complete the perfect game. When Jim Bunning was pitching his perfect game in 1964, he deliberately violated this superstition, talking to his teammates about the perfect game's progress in order to dispel the tension in the dugout. ↑ "Rules, Regulations and Statistics". Major League Baseball. Retrieved June 21, 2015. ↑ Donaghy, Jack (April 14, 1992). "Is revised no-hitter rule a no-no?". Eugene Register-Guard. pp. 2D. Retrieved August 3, 2009. ↑ "Year In Review : 1991 National League". Baseball Almanac. 2009. Retrieved August 2, 2009. ↑ "No Hitter Records by Baseball Almanac". Retrieved June 21, 2015. ↑ "Johnny Vander Meer's Two Consecutive No-Hitters by Baseball Almanac". Retrieved June 21, 2015. ↑ "June 14, 1965 New York Mets at Cincinnati Reds Box Score and Play by Play". Baseball-Reference.com. Retrieved September 30, 2014. ↑ "August 19, 1965 Cincinnati Reds at Chicago Cubs Box Score and Play by Play". Baseball-Reference.com. Retrieved September 30, 2014. ↑ "No-hitter a record fourth for Varitek". Boston Red Sox. Retrieved September 30, 2014. 1 2 Kaplan, Thomas (May 21, 2008). "Red Sox' No-Hitter Puts Variety in Record Books". The New York Times. Retrieved May 10, 2010. ↑ "Carlos Ruiz caught his fourth no hitter, tying Jason Variety's record.". Retrieved July 25, 2015. ↑ Grosshandler, Stan (2012). "Unsung Heroes: No-Hit Catchers". SABR: Research Journals Archive. Society for American Baseball Research. Retrieved March 2, 2012. 1 2 "Josh Beckett's no-hitter is the second that Drew Butera has caught". latimes.com. May 26, 2014. Retrieved September 30, 2014. ↑ "Tampa Bay Rays vs. Seattle Mariners – Recap – August 15, 2012". ESPN.com. Retrieved September 30, 2014. ↑ "4 Strikeouts In 1 Inning". Retrieved June 21, 2015. ↑ "Rare Feats". Major League Baseball. Retrieved June 21, 2015. ↑ Gisclair, S. Derby (August 2, 2004). "A No-Hitter In His First Start". baseballlibrary.com. Retrieved August 22, 2008. ↑ "Retrosheet Boxscore: Cincinnati Reds 1, Houston Colt .45s 0". Retrieved June 21, 2015. ↑ "Retrosheet Boxscore: Detroit Tigers 2, Baltimore Orioles 1 (1)". Retrieved June 21, 2015. ↑ Martinez, Michael (July 2, 1990). "No-Hitter, but With No Glory". New York Times. Retrieved October 3, 2011. ↑ "Most runs scored with no hits » Baseball-Reference Blog » Blog Archive". Baseball-Reference.com. Retrieved September 30, 2014. ↑ "American League No Hitters by Baseball Almanac". Retrieved June 21, 2015. ↑ Sullivan, Dean. Middle Innings: A Documentary History of Baseball, 1900–1948. 2001, U. of Nebraska Press, ISBN 978-0-8032-9283-3, pp. 82–84. Reprint of contemporary newspaper account. ↑ "June 3, 1995 Montreal Expos at San Diego Padres Box Score and Play by Play". Baseball-Reference.com. Retrieved June 21, 2015. ↑ "Rare Jordan: Zimm tosses first Nats no-hitter". Nationals.com. ↑ "Retrosheet boxscore: Chicago White Sox 8, New York Yankees 0". Retrosheet. Retrieved June 14, 2010. ↑ Gmelch, George (September 2000). "Revised version of "Superstition and Ritual in American Baseball" from Elysian Fields Quarterly, Vol. 11, No. 3, 1992, pp. 25–36". McGraw-Hill/Dushkin. Archived from the original on April 21, 2007.